What are our best online learning games for kids in 2019? Skidos » Blog » Education » What are our best online learning games for kids in 2019? 1. Bike Racing is one of our most popular game available on Apple App Store and Google Play Store. One of the most successful games we published last year was BIKE RACING. Kids fell in love with it instantly, and it helped them not only play like a real pro motorcyclist across the most exciting race tracks, but it also assisted in Mathematics and Coding practice. What makes it so popular amongst kids is the fact that progression is smooth and entertaining. The game has 99 race tracks and the possibility to modify the racer’s gear, outfits and skills. Each level the gameplay becomes slightly harder, but not that hard to make kids give up on the game. Similar in gameplay to Bike Racing, but the scenes are as cool as the mountain slopes in the game. The gameplay is more straightforward, so it can perfectly match with children between 4 and 10 years old. Here the educational questions are again for math and coding. Children can learn how to bake a cake with real ingredients. On top of that, the whole “Do It Yourself” scenario provokes their creative thinking, and the fun is guaranteed. In this game, the educational questions are within coding and maths as well, but the gameplay has many voice-overs to help children improve their listening skills and remember the name of the ingredients for baking. Who knows, they may want to help you next time in the kitchen? These games help kids to practice spelling and pronunciation of the first 200 english words using phonetics and pictures. It does include the math puzzles too. The cool thing about both these games is the amazingly cute graphics and the ease of the gameplay. 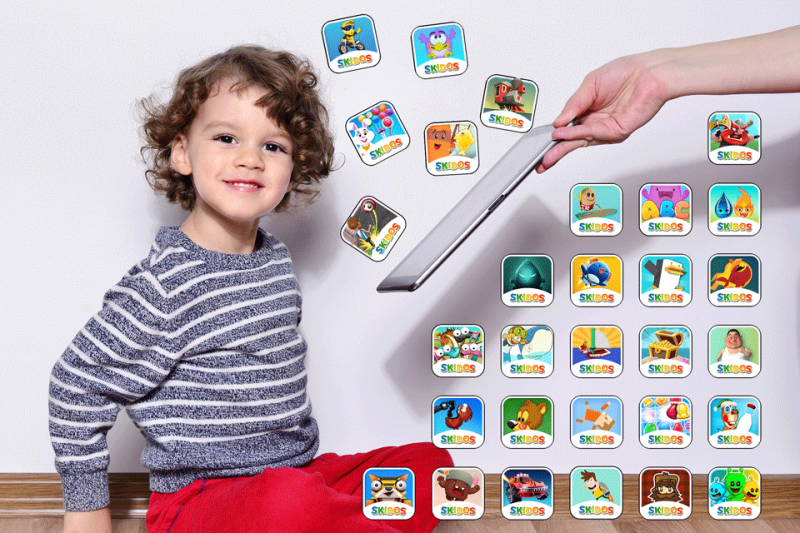 Those two online educational games will match best for kids at the age of 4 and 5 years. Coming last but not the least as the best online learning games for kids. One is a very popular bubble shooter game which kids love and the other is based on a match 3 puzzle gameplay popularly seen in games like Candy Crush. Here the fun is to rescue cute Rabbits from being stuck in balloons and kids can advance in their trajectory by shooting to the sides and learning about angles. Best for kids from 6 to 11+ years age group. Now is the time that you go and download these five stars learning games for your kids and start their fun learning. More new games are being added every month. Go play and learn now! You want to know more about how online learning games help kids and how to choose them? See this article.